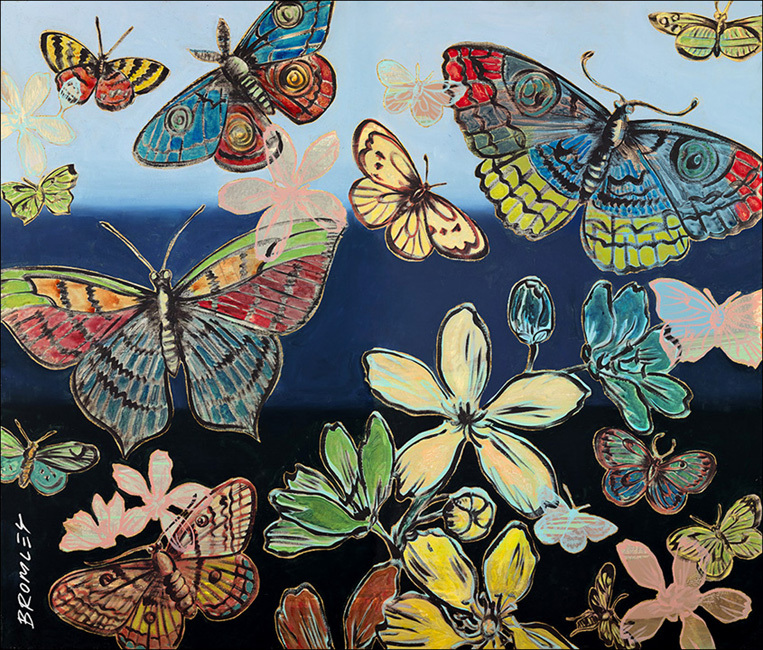 Etching House has available David Bromley’s limited edition fine art work titled Butterflies II. Butterflies II, is a limited edition archival pigment print made on archival watercolor paper. Butterflies II was Released in 2013, the edition is limited to 25 only, Butterfly II image is uniquely printed to the edge spanning a image size of 78 x 92 cm, David Bromley has hand signed Butterfly II on the lower left side. The official David Bromley Embossed artist studio seal appears in the lower left of Butterfly II available at Etching House. Lay Buy payment plan for Butterfly II (Butterfly Two) is available at Etching House on 20% deposit. A selection of David Bromley fine art limited edition Silkscreen or archival pigment prints are available at Etching House.